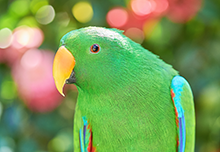 Here at Reptile Encounters, we’re passionate about getting kids of all ages to learn about, get to know, and ultimately love, the enchanting and unusual wildlife we have right here in Australia. We’re also more than a little concerned about how society has become so disconnected from nature, and the potentially awful effects of this both on society and our environment. So we realised how amazing it would be if we could start bridging the divide with school incursions – as a fun-filled, inspirational and highly educational part of the school day. Straightaway we put our heads together and designed eighteen uniquely mesmerising school incursions, each one tailored carefully to be age appropriate, exciting and interactive. We’re problem solvers too here, and we’re sure our approach to teaching co-existence with and respect for nature can help tackle the problems many teachers face of student disengagement, disrespect and disconnection. Over the years we’ve often experienced that those who have been taught to respect nature mirror this in their respect for fellow humans. 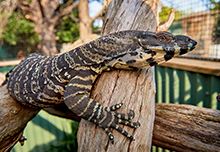 And when it comes to wildlife and science incursions here in Melbourne, we’d happily bet your bottom dollar that you won’t find better than Reptile Encounters. Not only are our Wildlife Ambassadors super friendly, they’re also super smart, with reptile-related degrees to go with their big smiles. And of course, like all our other Reptile Encounters shows and events, the school incursions are 100% safe. As incursions for students are a big part of what we do, all of our Wildlife Ambassadors are experts in handling the students, answering their trickiest questions, and making sure each of them can get involved. We’ve been doing this for a long time, so you can rest in the knowledge that your students are safe in our hands. As well as getting each and every one of the kids to have tonnes of fun, we have worked incredibly hard on, and take immense pride in, the educational and informative side of our school incursions. One of our overriding goals is to promote conservation and raise awareness, not just in Melbourne and Victoria, but nationwide. And we would even go further than this and say we aim to create better humans and empower them to save the planet. To this end, we want our youngsters to really be informed about the wonderful wildlife, but also the very real threats facing them. So some of the special guests joining us may themselves be endangered. Reptile Encounters are proud to offer 4, hands-on, wildlife programs. Each show is specifically designed for preschool and kindergarten aged children to make the child feel as comfortable as possible during their introduction to wildlife. 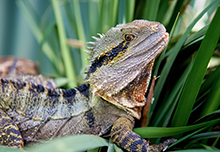 Reptile Encounters is proud to offer 6 hands-on, interactive and educational wildlife show specifically designed to align with the Victorian Curriculum. Our passionate Wildlife Ambassadors will deliver a show that will entertain and educate students and teachers alike. 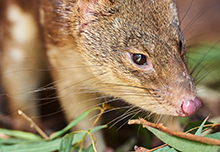 Reptile Encounters provides 4 interactive Secondary School wildlife programs specifically aligned with the Victorian Science & Biology Curriculum. Our hands-on shows help students take a practical approach to learning about the natural world. Reptile Encounters is proud to offer 2 hands-on, interactive and educational wildlife programs specifically designed for the VCE curriculum. Our complete package experience includes providing Teachers with support material for students to further their knowledge and assess their understanding.